When it comes to mold, MasterTech’s certified team of experts understand the risks that mold brings to you and your family. A mold contamination in your Haddon Township, NJ home or business puts your property, your health, and your family’s health at risk. The water damage promoting the mold growth will severely undermine your building structure, compromise the structural integrity of the property, and diminish your property value. Not to mention, certain species of mold can release certain mycotoxins that can be harmful to humans. Prolonged exposure to mold can potentially lead to serious health implications. 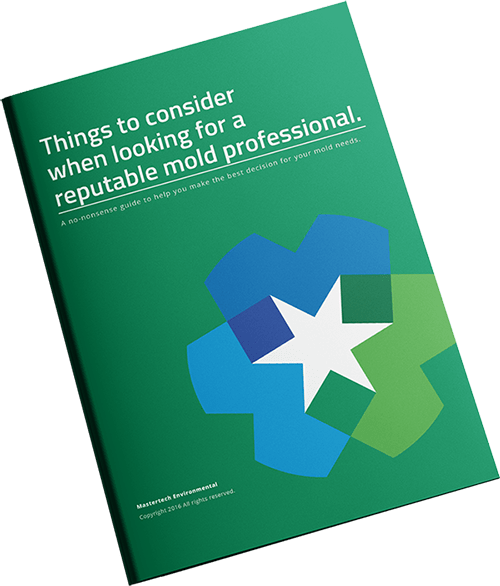 If you detect musty odors or see suspicious discoloration or staining in your Haddon Township, NJ home or business, you should consider calling a mold professional to have your properly inspected. A mold inspection, conducted by a certified professional, will determine if you have mold, how bad it is, how to properly get rid of it and how to prevent it from returning. Each MasterTech mold inspector is equipped with moisture meters, thermal imaging readers, and the proper training and knowledge to thoroughly complete a mold inspection in Haddon Township, NJ. Through a visual assessment to identify the immediate concern, moisture mapping and thermal imaging to diagnose the causation, and collecting of samples for scientific analysis, a trained inspector will be able to evaluate the full extent of the mold contamination and draft a mold removal solution tailored to your specific mold needs. Mold is a toxic bio-contaminant that requires a unique decontamination protocol designed specifically to remove and prevent its re-growth. MasterTech uses the safest and most advanced mold removal tools, techniques, and technologies to provide Camden County, NJ families with the safest and most effective mold remediation available. MasterTech implements oxidative technology to actively remove the mold in your New Jersey home or business. It is the safest and most effective approach to mold removal available in the industry today. This method harnesses oxidizing agents, surfactants and surface cleaners that target bio-contaminants like mold in your home. The use of oxidative technology for mold removal in Haddon Township, NJ has revolutionized the mold industry. The process does not require the use of powerful pesticides and there are no dangerous residual chemicals or heavy metals remaining after remediation. 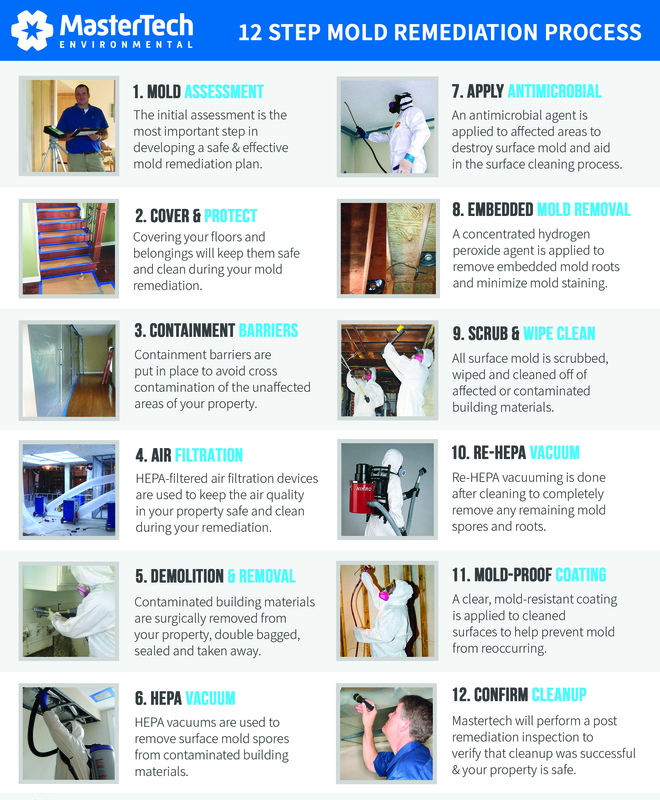 At the core of every mold remediation, there are 3 key priorities. Every mold remediation in Haddon Township, NJ should include: identifying the source, containing the problem, and cleaning and disposal. You see, mold remediation involves more than just removing the existing mold. A professional mold remediation company is responsible for uncovering ALL the problems related to and contributing to the mold contamination, in addition to the mold growth itself. Identifying the source– A successful mold remediation hinders on the ability to uncover and address the underlying water source that is causing and sustaining the mold growth. If the water source is not properly identified, stopped, and fixed, the mold problem will inevitably grow back, despite a proper cleanup. Our technicians fully trained to find the water source, assess the full extent of the water damage, and properly address the water source and the damage it left behind. Containing the problem– Mold spores can travel and settle on virtually any surface. We do not want to risk disturbing any existing mold development without barriers to contain the problem. Our team is fully trained to set up appropriate containment barriers around all areas of concern to eliminate the risk of cross-contamination to clean, unaffected areas.. Cleaning and disposal– In cases of extensive mold development, the mold may have rendered some building materials non-salvageable. Non-salvageable building materials but be carefully removed and disposed according to strict protocols. MasterTech technicians are fully trained in the most advanced techniques for the safe, effective, and efficient removal and disposal of non-salvageable, mold-infested building materials. MasterTech will always prioritize you and your family’s safety and best interest. That is why every Haddon Township, NJ mold remediation is backed by a 5-year mold-free warranty. It is our guarantee that the mold has been properly removed, and it will not return. An poorly done mold remediation can greatly impact your family’s health and leave you with expensive property damage. It is important to do your research before trusting just any mold removal company in New Jersey with the safety and well being of your family and your home. If you and your family are in need of a trusted and certified mold remediation company to properly handle your mold problem, call MasterTech today to learn more about mold removal in Camden County, NJ. For mold inspection and mold removal in Cherry Hill, NJ or mold inspection and mold removal in Voorhees, NJ, call 609-948-8844 to speak with a member of the MasterTech Team.